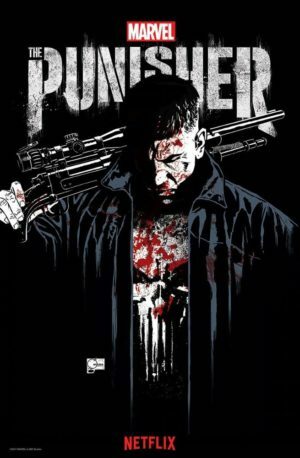 Netflix Punisher Release Date Shrouded in Mystery – All of My Issues! First off, if you haven’t watched the new Netflix Punisher trailer yet, do it. Do it right now! It has everything that we want in a Punisher trailer. Guns, a little violence, and yes . . . there is even some punishment. Just take a look at what Frank does to that concrete floor. Check it below . . . The movies that depicted everyone’s favorite violent vigilante have had a mixture of success. Most often the complaints have been that the character is slightly different from the comic book material. It looks like Marvel and Netflix may have struck gold with this live action Punisher. I would argue that Jon Bernthal has done the best portrayal of this character. He made his first appearance as our friend, Frank Castle, in Season 2 of Daredevil. Since that appearance, many fans have been wondering when he would get his own series. Typically, they provide some sort of release date with their trailers, but this one doesn’t clearly answer that question. Marvel/Netflix have given us a somewhat vague answer to that question. At the end of the trailer, we see an arrangement of characters that are jumbled together. The last set of characters in that jumble are 2017. If you look at information provided with the YouTube video, you’ll see that the month and day are also obscured (Just check out the pic below). Basically, the information we have so far is that it will arrive sometime this year. With the year being more than half over already, that really doesn’t leave much time left for it to be released. We know it will be soon, but we don’t know exactly how soon. Regardless of when it comes out, we are definitely looking forward to it.